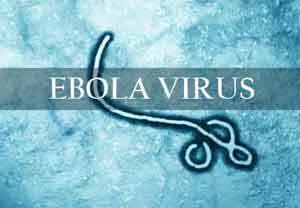 Ebola virus disease is afebrile, multisystem illness, with a predominance of gastrointestinal symptoms and signs namely nausea, vomiting, diarrhoea, and abdominal pain that frequently lead to hypovolaemia, metabolic acidosis, renal dysfunction, and multi-system organ dysfunction. The study, by a team of international expertshas been published in The Lancet. The authors write that at the beginning of the outbreak in 2013, case-fatality rates were 70%, but that number was lowered significantly (to 40%) as supportive care practices improved over the course of the outbreak. Using Grading of Recommendations Assessment, Development, and Evaluation (GRADE) methodology, the authors present evidence-based recommendations for patient care during the next Ebola outbreak. Oral hydration and intravenous hydration had the strongest recommendation. When administered properly, the measure carries no risk of transmission to healthcare workers, the experts say. Make sure patients, especially the very young, are adequately hydrated is a necessary supportive measure. Have sufficient medical staff, at least one doctor for four patients, was also strongly suggested. Patients should be assessed three times per day and should be continuously monitored. Finally, the authors also recommended prompt use of analgesics and antibiotics as necessary. Because Ebola patients can have symptoms similar to cholera and yellow fever, among other diseases, the researchers tracked the most common clinical and lab-based markers of Ebola virus. These markers can help quickly help establish an Ebola diagnosis in rural settings, where rapid Ebola testing isn’t widely available. Positive Ebola diagnosis corresponded most often with headache, diarrhea, difficulty breathing, nausea and vomiting, loss of appetite, and conjunctivitis. The laboratory tests most useful were creatinine, creatine kinase, alanine aminotransferase, and total bilirubin. The risk scores developed by the researchers correctly identified 92% of Ebola-positive patients as being at high risk for infection.